Anyways, yesterday I was craving for something nice warm and chocolaty and I didn’t want to go out to the pastry shop. So I decided how about some chocolate chip muffins? And yes when you get a craving and you decide you want then why not whip up some! I was planning to go shopping in the afternoon but the muffin craving made me bake some muffins before I went out. Yeah it’s really easy and quick – hope you’ll enjoy this. This measurement is for a batch of 6 muffins. As I told you earlier the procedure is very easy. You need to mix the dry ingredients in a bowl and wet ingredients in another bowl and then mix the two. So you don’t need to cream the butter & sugar and don’t require any hand mixer or anything. So let’s see what you need to do. – Add ½ a cup of melted butter with the batter and mix. 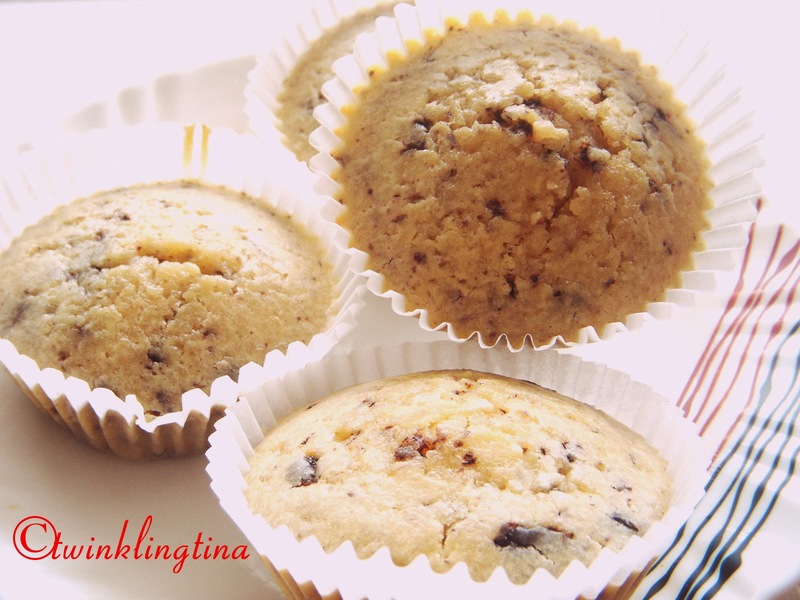 – Line a muffin tray with paper cups and fill them with the muffin batter. 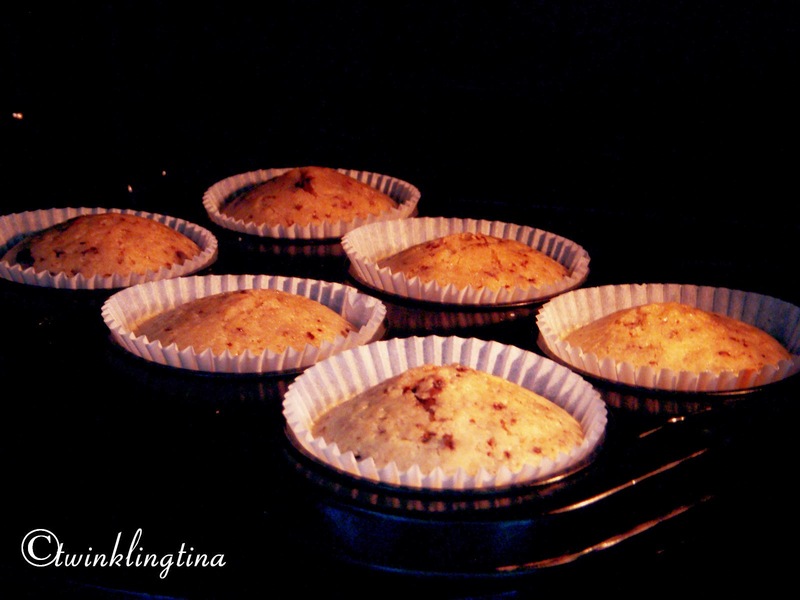 – Now bake the muffins in a preheated oven at 180 degrees Celsius for 25 mins. 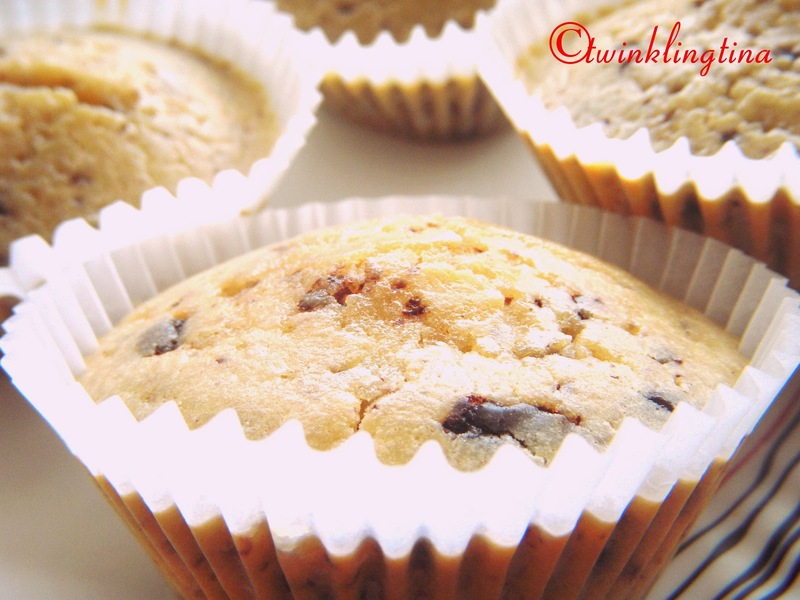 – Before taking out the muffins insert a tooth pick and check if it’s coming out clean. If it comes out with batter on it bake for 10 more mins. 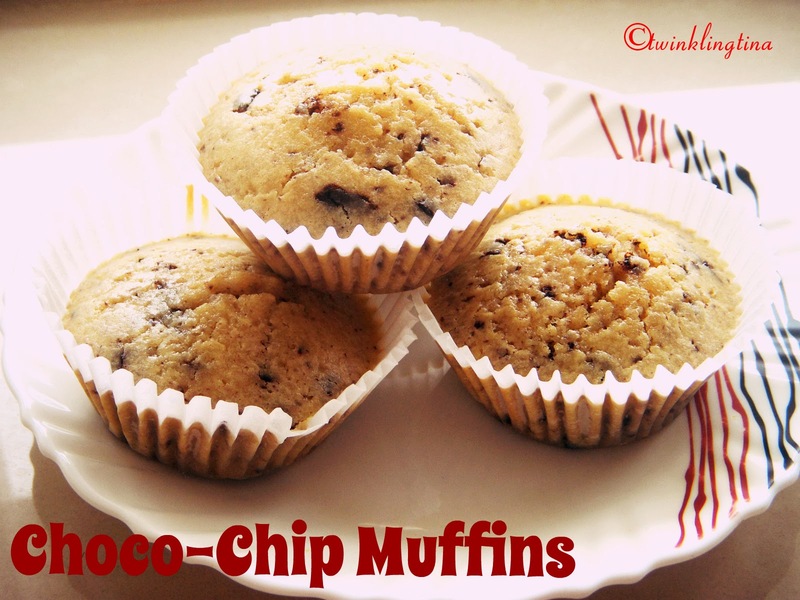 So that’s it your choco-chip muffins are ready. Muffins taste great when it’s warm and fresh. You can see the chocolate chips melt and it becomes heavenly. In case you want little more indulgence you can drizzle some chocolate sauce on it. I tried with some maple syrup and it was yummy. So do try and let me know how it was. And here is a little Nutrition Fact for you guys. Something new that I am going to add to all my recipes henceforth. Great! I am learning to cook. You blog is excellent. There's a nutrition Fact widget.. for every one… acing little funny but i'll resolve that soon..